Northampton’s reputation as a vibrant artistic hub is well known. From Four Sundays in February, the annual wintertime extravaganza that showcases some of the best local and college talent, to Arts Night Out, the monthly evening that celebrates creative works, the city is brimming with artistic offerings. While some may already be familiar with this side of Northampton, what you probably don’t know is that this scene also includes “Django in June,” a unique, lesser-known summer event that’s fast approaching and is not to be missed. Every June, for the past 11 years, Northampton has come alive with music inspired by Belgian-born Gypsy and jazz legend Django Reinhardt; as the site says, Django in June is New England’s premier occasion to celebrate, study and just plain enjoy the work of the inimitable guitarist. The fun starts with a weeklong “Gypsy jazz camp” for serious players, which is set run from June 17 to June 22. During the week, more than two hundred “Djangologists” from around the country will journey to Northampton to study with some of the best Gypsy jazz musicians from around the world. Then, before the last couple of lessons are taught, Django will culminate with two public concerts – on Friday, June 20 and Saturday, June 21. 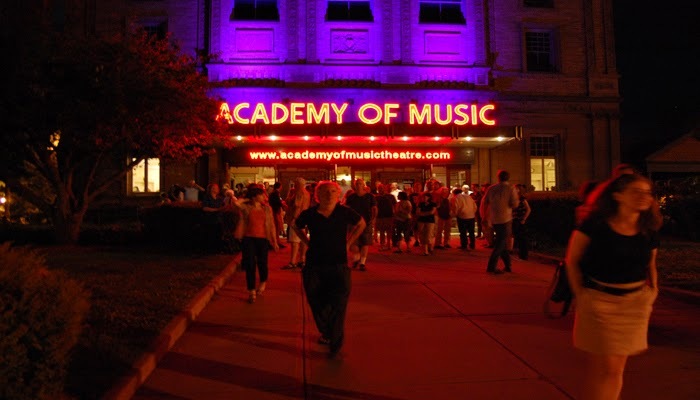 At Northampton’s fabled Academy of Music theatre, the teachers will become the performers, and listeners will get to take in two exciting evening concerts unlike any others. As a prelude to the end-of-week concerts, “Django in June” campers will be giving free Gypsy jazz performances Wednesday, June 18, and Thursday, June 19, from 4 to 5:30 p.m. at six downtown Northampton locations – Thorne’s Marketplace (150 Main St), Mama Iguana’s (150 Main St), Pizzeria Paradiso (12 Crafts Ave), McLadden’s Irish Publick House (27 Pleasant St), La Veracruzana (31 Main St), andSpoleto (1 Bridge St) – all within a few blocks of the Academy of Music. The Academy of Music concert on Friday night will feature Christophe Lartilleux’s Latcho Drom (“safe journey” in Romani) and Samson Schmitt with Holland’s Tim Kliphuis. Saturday night’s concluding concert features the celebrated European Gypsy jazz virtuosi Les Doigts De L’Homme. 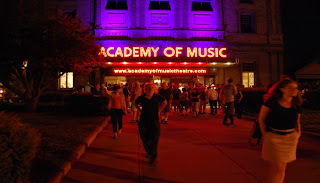 For Friday and Saturday “Django in June” concert tickets, visit the Academy of Music website. For information about a Northampton getaway, visit explorenorthampton.com. For the latest news about Django in June, follow the group on Facebook.